Going to an NFL game is more than watching players get pummeled to the ground. With each team comes a unique set of fans who bring a different perspective that not everyone is accustomed to. At the end of the day, every fan wants to show their diehard support for their team. If they can affect the opposing team, then that’s even better. Booing really loudly can only do so much, which is why fan signs are a thing. 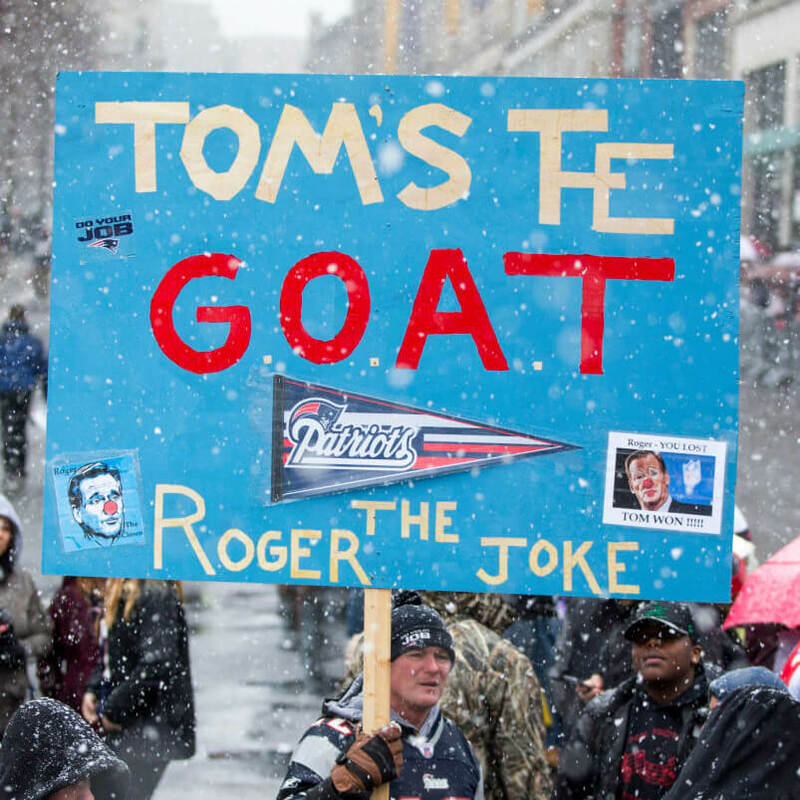 Whether you’re watching at home or you’re in the stadium, you should be prepared to see some pretty obscure and funny fan signs. Try and keep your composure as you go through these hilarious NFL fan signs. Being a genuine Patriot fan has its perks. For starters, you have the greatest quarterback of all time to cheer on in Tom Brady. So, that gives you the leeway to call him the GOAT (greatest of all time), and it is true. Some people use the term for players who aren’t even close.